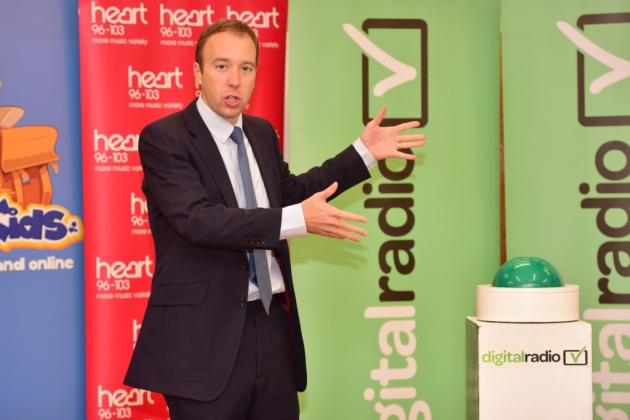 Digital Minister Matt Hancock has called for all radios to be digital by default in anticipation for a future digital radio switchover. His call comes as industry GfK data confirms the majority of domestic radios currently sold are still analogue-only. The Minister’s call to accelerate the transition to digital devices was echoed by Julian David, CEO of techUK, the industry body representing technology manufacturers, and Katrina Mills, Audio and Connected Home Senior Buyer at John Lewis, who confirmed that John Lewis, the UK’s leading radio retailer, is planning to phase out the sale of analogue portable radios in stores and online. The Drive to Digital conference, which is organised by Digital Radio UK, heard about the progress being made in transitioning UK radio to digital with speeches from leading audio and radio brands, including Roberts Radio, Ruark and Pure, as well as Amazon Alexa and Sonos ,and vehicle manufacturer, Audi. “We welcome the comments of the Digital Minister and of techUK about the importance of selling digital-enabled radios at retail. In a world where radio listening is transitioning to digital and where all digital radios have FM capability it makes no sense for retailers to continue to sell analogue radios which have a time limit and can’t receive the majority of available stations."